You’re the first nun I’ve met who has infiltrated a gun company, I tell Sister Judy Byron. “Oh, you might be surprised,” she laughs. It is a surprising story. 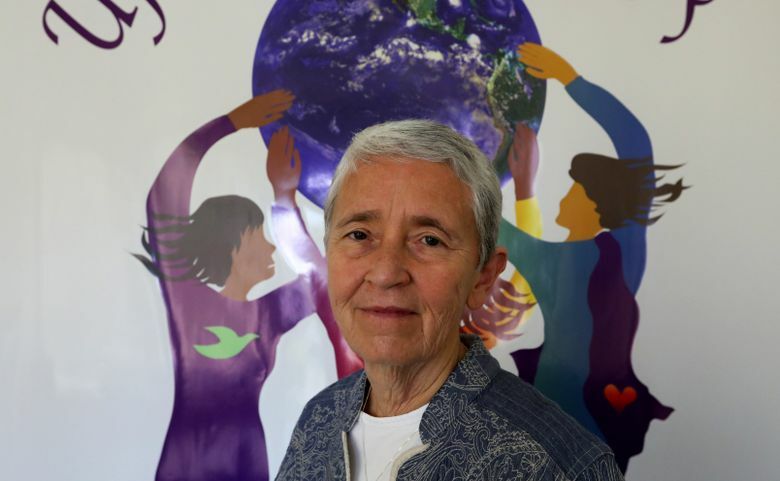 Last week, Sister Judy, who lives in a convent in Seattle’s Wedgwood neighborhood, helped orchestrate what is believed to be the first activist-led shareholder revolt at an American gun manufacturer. The size of the nuns’ win appeared to startle the gun industry. It also came as a welcome shock to the gun-control movement, which was long accustomed to being ignored by the big businesses at the center of the gun debate. It all started back with the mass shooting at the Sandy Hook school, in the winter of 2012. Byron and her Adrian Dominican order of nuns were reeling from the massacre of 20 children. But in the years after, that horror changed to a lingering dread — that we weren’t going to do a thing about it. “I thought: If this doesn’t bring us to our knees, nothing will,” said Byron, a former teacher and principal at Seattle-area Catholic schools. Out of a small office in the Roosevelt neighborhood, Byron has for two decades run a campaign to get corporations to include “good works” in their profit-making. It’s called the Northwest Coalition for Responsible Investment. The strategy is to first buy stock and then request an audience with corporate boards or CEOs. If that doesn’t work, the nuns take it up a notch by petitioning directly to the company’s owners — the shareholders. Sturm Ruger ignored the nuns’ request for a meeting. Big mistake: As anyone who has ever been to a Catholic fundraising breakfast can attest, nuns can be very persistent. By then the nuns owned the minimum amount of stock ($2,000 worth) required to file a formal resolution. The one for Sturm Ruger called on the company to track incidents of violence involving its firearms; to reveal what it’s doing to make guns safer, including research on “smart gun” technology; and to report on the risks that gun violence poses to the company’s reputation and finances. Byron said the group never expected to win. Most social-change resolutions get 10 percent or so. But then the Parkland, Florida, shooting happened. The Ruger shareholder meeting was last week. The company strongly urged a “no” vote. In a proxy statement, it dismissed the notion that there is any “public health crisis” around gun violence. But the vote was 69 percent in favor of the nuns. A number of big institutional investors sided with them, concerned at how mass shootings may threaten the gunmaker’s long-term business. The largest, BlackRock, asked the company to take more of a leadership role in developing new gun-safety technologies. Ruger’s CEO was defiant. Ruger will not “adopt misguided principles by groups that do not own guns and do not understand guns,” he told The New York Times. Don’t mess with the nuns, Ruger! They own you now. Rather, they own a tiny piece of you — which was enough to get under your skin. But that’s me taunting. Sister Judy, as you might expect, was far more gracious. “It’s another sign,” she said, “of the power of those young people organizing after the Parkland shooting. That call has now been heard all the way to the top of the investment community.